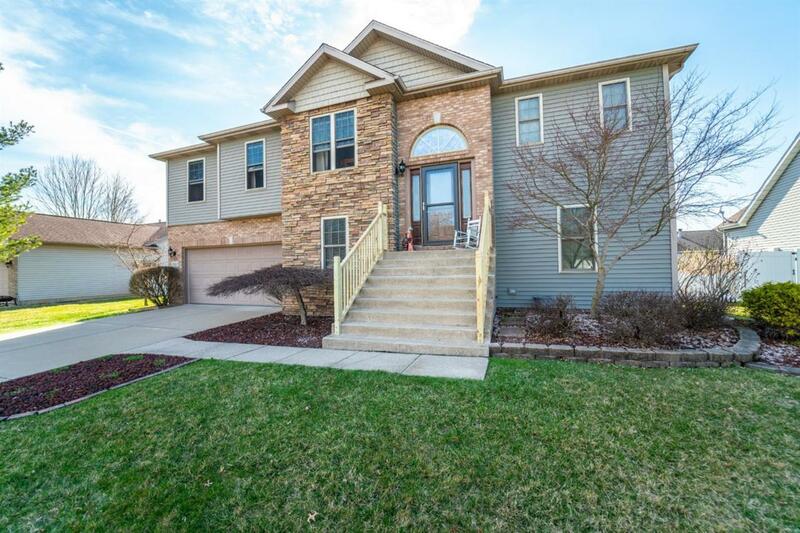 Come see this ONE OF A KIND, CUSTOM, REDONE bi-level HOME! This home has 4 bedrooms & 3 bathrooms with a BEAUTIFUL kitchen and NEW appliances! The main level offers a LARGE LIVING space with a FIREPLACE that opens up to the FORMAL DINING room. In the KITCHEN you have HICKORY cabinets, CERAMIC flooring, a breakfast nook & doors leading to your OUTDOOR space. The MASTER SUITE offers a WALK-IN CLOSET, FULL BATHROOM with a JETTED ceramic TUB & separate SHOWER! On the lower level you have 10' CEILINGS, a FIREPLACE, the 4th bedroom with 2 CLOSETS, a FULL bath, LAUNDRY room AND OFFICE! Listing courtesy of Brian Rossi of Rossi And Taylor Realty Group, Llc.